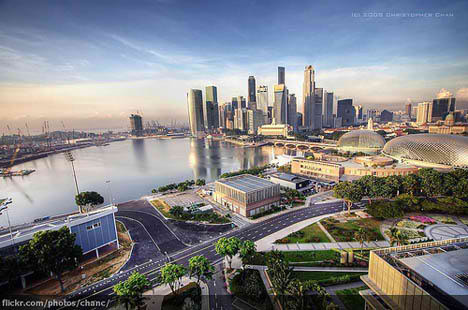 According to analysis reports, private property prices in Singapore have registered the 2nd largest drop among the Asian countries, while China takes top spot with a 5.7% drop year-on-year. On the contrary, Hong Kong’s property market has gained the highest increase in prices across Asia as the market remains defiance against their cooling measures by policymakers as prices rose 20.7% year-on-year. It was mentioned that prices for non-landed private residential properties in Singapore fell by 0.8% quarter-on-quarter and 3.2% year-on-year. The continuous drop in home prices has clearly reflected the property market sentiment as prospective property buyers remain wary of the price slide due to the current property cooling measures in place. It was being noted that the private residential property market in Singapore is expected to face pressure from the performance decline in price (likely 3% to 4% drop on year by Q42015) and rental, due to other factors which include the increasing supply of private properties in the market, rise of interest rates and also the tension from Singapore’s economy slowdown. It may seem that this continual pressure in Singapore’s property market will cause anxiety among prospective buyers. However, every cloud has a silver lining. Despite being observed that property prices, especially in the luxury property segment have declined by approximately 20%, an influx of smart money has been re-entering the high-end districts in Singapore (namely District 9 and 10). It was being suggested that the price index for the luxury property segment has fallen to a point which it can’t possibly decline any further, and recently we’ve been witnessing foreigners splashing the cash on luxury properties in Singapore. Based in Shanghai, independent economist Dr Andy Xie discusses about the state of Hong Kong, Singapore and China’s property market situation in 2013 with CNBC. Earlier in 2H2015, a 4-bedroom unit (2,465-sqft) situated on the 16th storey at Orchard Residences (part of an integrated mixed development sitting above ION Orchard shopping mall and Orchard MRT Station) was transacted at S$7.25 million or S$2,941 psf. According to historical transaction records, this unit was previously transacted as a sub-sale unit for a staggering amount of S$8.63 million or S$3,500 psf back in December 2010. As a result, the recent sale of this 4-bedder saw a loss of 16% from 5 years ago. On the other hand, Le Nouvel Ardmore by Wing Tai Holdings have set the highest PSF price in 2015, after setting the record for highest absolute price of S$51 million or S$3,675 psf for its mega penthouse (approximately 13,875-sqft) which was transacted 3 months ago. The buyer was believed to be Alibaba’s co-founder Mr Sun Tongyu. Situated on the 5th storey of this 33-storey tall luxury condo, a 4-bedroom unit (3,961-sqft) was transacted at S$15.84 million or S$4,000 psf in July 2015, which turns out to be the first non-land private residential property in Singapore to achieve the record PSF price.